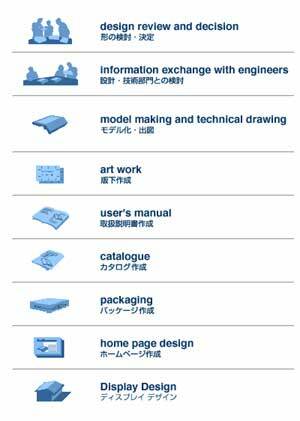 Since 1993, Drake Design has been designing and engineering industrial products and their promotional material such as brochures, website etc. There is a small model-shop for presentation mock-ups beside the office. So all the equipments and tools were already there when we decided to make automata. Everything about Drake Automata: design, production, packaging, paper material and website is completely integrated together under our original concept. Making everything ourselves requires a lot of work. But in a way, it is quite a natural thing to do just like farming, in which farmers do all the work themselves from planting and harvesting. When we package the finished product, our joy maybe somewhat like that of farmers harvesting their produce. 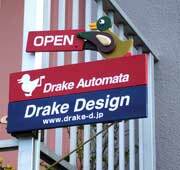 We are more than happy to share this joy with you by delivering Drake Automata to you or your loved ones. 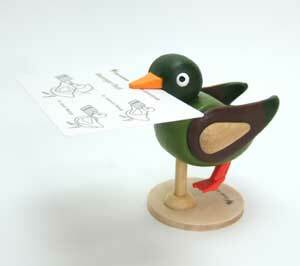 The workshop of Drake Automata is a very compact multifunctional place. It is like a space station packed with countless equipments such as wood working machines and tools, PC, printer, digital camera, photo-studio, lighting etc. Besides these, the most important part of our environment is Lake Sanaru which is about 5 minutes walk from the office. 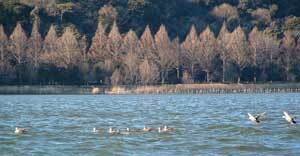 This lake is about 6 kilometers in circumference and is surrounded by a promenade. There are many places to stop and enjoy such as: 28 meters high "Mt" Negawa, rice patches, charcoal kilns, a pier, a bird watching station and small ponds which are homes for fireflies, frogs, kingfishers etc. 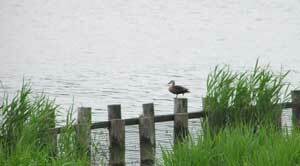 The name of our studio 'Drake' came from male ducks who come and stay on the lake every winter. They are the models of our first series of automata. Since we spend a long time sitting in a workshop or watching computer displays, walking around the lake is our favorite pastime. It is also a perfect time to toy with new ideas. Samples are on display at our workshop in Hamamatsu Shizuoka. We are happy to have you come over and experience our products. Please find "5-12-22 Sanarudai Hamamatsu Shizuoka Japan" in Google Maps. 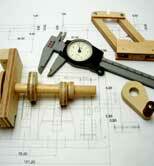 Designing new products as well as its making process is a lot of fun. Here is a little tip on our new model.